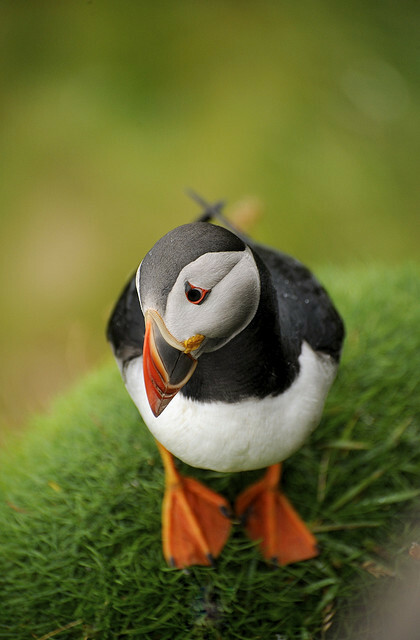 Puffin in Shetland, Scotland UK by JC Richardson on Flickr. SHETLAND, SCOTLAND, UK — Puffins stop in the Shetland Islands, the northernmost group of islands off the north coast of the United Kingdom, on their migration to the Arctic. This puffin is on the cliffs of Sumburgh Head on the south tip of Shetland.